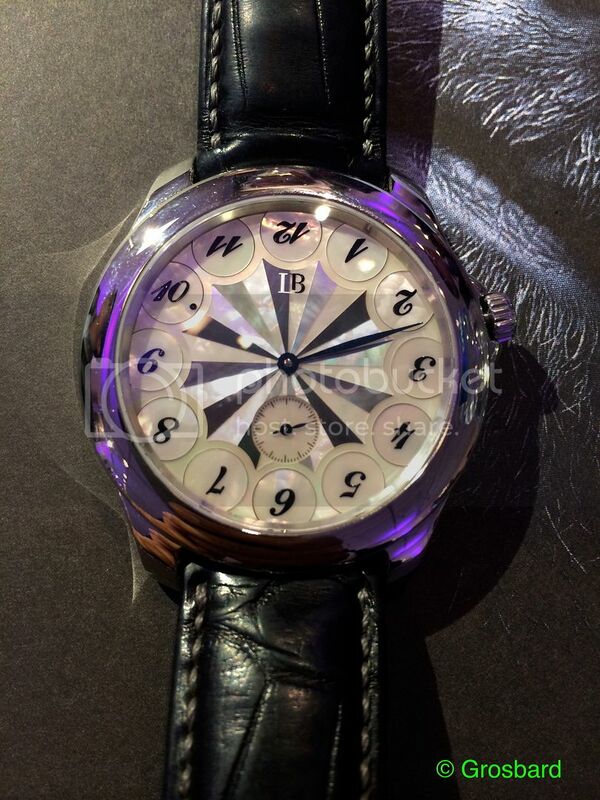 Here's the Upside Down, with a Mother-Of-Pearl marquetry dial. I think this is a limited edition watch, but I'm not positive. You can see that all the numbers are upside down, except for the current hour. So the time currently pictured is about 10:12. Here's the Half Time. Like the Upside Down, it is also a jump hour watch. The way it works is that there are two discs on the dial. The outer one rotates clockwise, and the inner one rotates counter-clockwise. At the top of the dial, inside the window, the two discs line up to show the current hour. 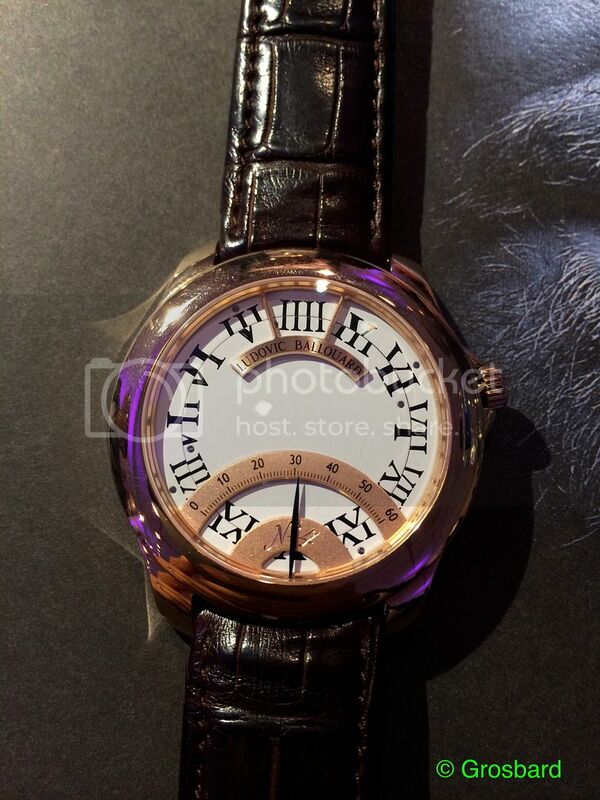 At the bottom of the dial is a retrograde minutes hand. So the current time is 4:31.